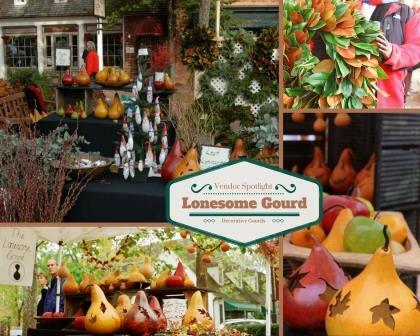 Carolyn Lilley, the Chesapeake artist behind The Lonesome Gourd, is known for oversized, richly dyed fruit and Indian bowls that she creates from gourds as well as her wreaths and cuttings. Lilley’s wreath and cutting business grew out of the family’s wholesale tree nursery, Lilley Farms and Nursery in Chesapeake. Once a typical Hampton Roads farm where corn and soybeans grew, Lilley Farms began to diversify a couple of decades ago. Now the business has over 200 acres of trees, as well as a pick-your-own strawberry crop in May.